You’ve been looking around at CBD products and decide to try the oil. It has been all the rage you hear about. The CBD market has been explosive but how do you know you are getting the right type of CBD oil? Below I will discuss what you should look for when buying CBD Oil. To make the decision to purchase CBD oil you need to know what it is good for. Our bodies have an Endocannabinoid system with receptors called CB1 and CB2, the THC attaches to the CB1 receptors in our body, mainly the brain. Whereas the CB2 receptors attach to the areas in the body. See the picture below for a great example of how the Endocannabinoid system works. Since CBD is a non-psychoactive form rather than THC medicating with CBD makes it a great choice. As you can see from the chart above, CBD mainly targets the body such as the immune system, major organs, muscles, eyes and more. Firstly, if you are shopping for CBD oil you need to know the difference between CBD oil (hemp oil) and cannabis oil. There is a lot of confusion between the two but they differ in various ways. It contains higher levels of THC than the traditional ‘CBD oil’, which is typically derived from hemp. Unlike hemp plants, cannabis plants grow more flowers, are shorter and have buds with crystals on it. Cannabis oil is illegal in some states. However, it is legal to purchase in Canada at dispensaries and through regulated online websites. It is used for medicinal purposes and for recreational purposes. When extracting CBD from a cannabis plant there are a lot more options to choose from when using a cannabis plant. There are various strains you can extract from which will give you different types of cannabinoids, terpenes and flavonoids. It doesn’t take as many plants to extract CBD from whereas hemp CBD you do need more plants as the CBD concentration is lower. 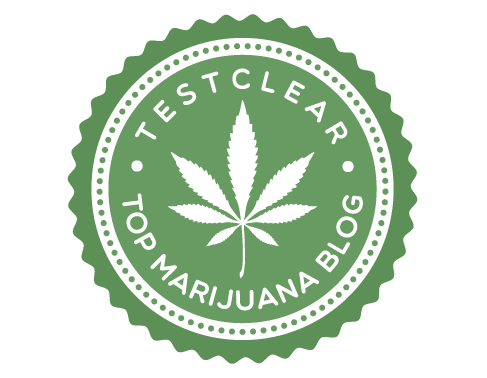 Concentrations of THC can be anywhere between 15% to 40%. Cannabis oil is much more costly than CBD (hemp oil). You are looking at anywhere from $80-$250 a bottle for some good quality cannabis oil grown from a licensed producer. 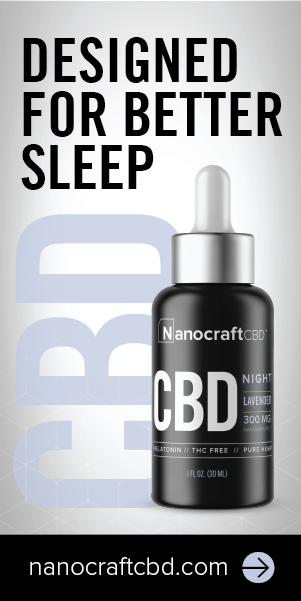 Depending on the concentration levels of CBD to THC ratio the price will vary. The CBD market has recently exploded, you see CBD oil all over the place because it is now considered legal in the states and in Canada to consume. Now that the ‘farm bill’ has been approved you can expect to see more CBD related products and for new companies to come out of the woodworks. Here are some key points about hemp. hemp is a member of the Cannabis Sativa family whereas the cannabis plant can be part of the Sativa or Indica family. Hemp plants grow tall, thick stalks and can be grown medicinally (CBD) and for industrial purposes as well. Not to be confused with ‘hemp seed oil’ which is extracting oil from hemp seeds – this offers no medicinal benefits to you for CBD. hemp is relatively easy to grow outdoors in a range of climates as opposed to cannabis plants. You can purchase hemp CBD oil for a reasonable price and the range varies with the amount of concentration. You can expect to pay anywhere between $30-$60 on average for a bottle of oil. Identifying the difference is the key to understanding how you decide what to use for treatment. Since there are a lot of CBD products out in the market, and the lack of regulations taking place. It is currently not regulated by the FDA so there is a lot of ‘snake oil’ out there as they say it. Unfortunately, many people out of desperation will purchase these products because ‘cannabis oil’ is not legal in their state or it is too costly to purchase. These people can fall victim to purchasing poor quality cannabis as a result. Choosing a good quality of CBD oil regardless on whether it is hemp or cannabis oil we should look at how it was processed as this is very important in determining the quality of the oil. CO2 extraction otherwise known as supercritical (or subcritical) CO2 method uses carbon dioxide under high pressure and extremely low temperatures to isolate, preserve, and maintain the purity of the oil. This is common practice done by many commercial producers. This requires expensive machinery for this process and as a result, you will get a high-quality oil. Ethanol. High-grade alcohol can be used to create good quality cannabis oil. It is commonly used as a food preservative and additive found in many products at the grocery stores and approved by the FDA. However, in the process of extraction, you can lose some of the cannabinoids. So the quality isn’t as great as a CO2 extraction. Dry Ice/Ice water can be performed at home, using this process creates a powdery resin otherwise known as hash. This is pretty strenuous and not the best approach as you can lose some cannabinoids in the process. Food grade oil, such as olive oil, can also be used to extract cannabis oil. As a result, you end up with an infused oil not a pure form of CBD oil. Also, the oil is perishable and should be stored in a cool, dark place. Full Spectrum is when you extract all the components of the plant and not just parts of it, (Isolate) this is important to keep in mind so you have access to all the qualities of the plant such as cannabinoids, terpenes and flavonoids. Isolate does have its benefits too, but it is recommended to use it with a full spectrum oil as well. Isolates are great for targeting specific ailments with certain cannabinoids. However, you need full-spectrum for it to work together. The dosages of CBD oil can range from anywhere, it depends on your body weight, absorbency factor, and your digestive system as you can see there are many variables at play. There is no hard fast rule for dosages but they say on average for every 10 pounds of body weight to take about 1-6 mg of CBD. So for an example, if you weighed 140-240 lbs you start off roughly with 20 mg but a smaller dose may be best depending on your pain level and tolerance. It is best to start out with the smallest quantity and go from there. On average 10 mg- 25 mg is a good starting point. Even though there are no psychoactive effects from CBD oil there is still a possibility you may experience some side effects if you take too much. It is always best to buy something that is free from harmful chemicals such as pesticides. If they cannot provide this then it is best not to purchase. This will also give you insight into the percentage of the cannabinoids, the types, and other essential information. Below is a sample from CBD Pure click on it to see a larger version. There is a lot of companies out there that are gimmicky, if it sounds too good to be true it probably is. Stay away from aggressive MLM sales tactics and health claims. The FDA has not regulated the sale of hemp products and it affects everyone differently so such claims are not ethical. I hope this gave you enough information to consider choosing the right CBD oil for you so you can confidently choose for yourself. These are the key points that should be explored when considering what to purchase. For myself, I buy a good quality cannabis oil from a licensed producer and I also have a CBD oil (hemp) on hand for supplementing. It all comes down to your own needs, affordability and accessibility. Passionate about holistic living. Cannabis advocate, hippie at heart. Smoking Resin: What the Experts Say About It?